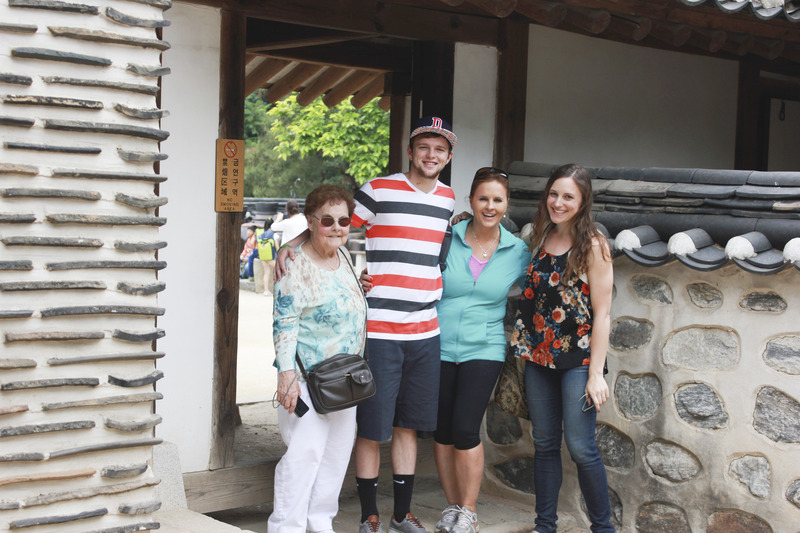 When my family came to visit this summer, we got the chance to head to some big tourist destinations in Seoul that we hadn’t been to. 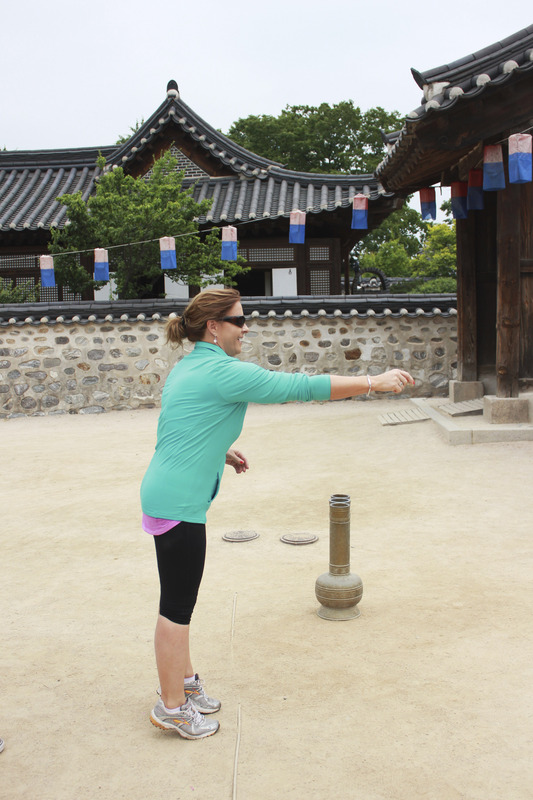 We even took the Seoul City Tour Bus – a hop-on, hop-off route to all the big tourist spots in Seoul- making us officially tourist material. 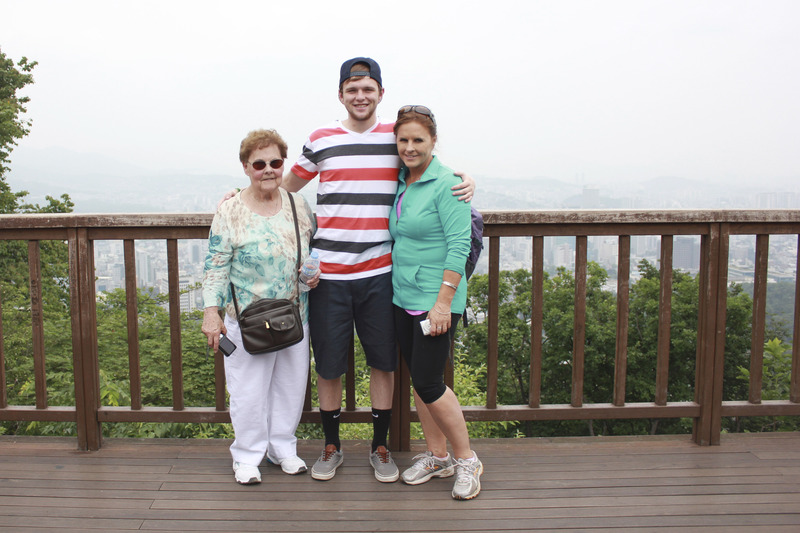 The bus was a good way for us to get around to a few of the sites without too much walking for my jet-lagged family. 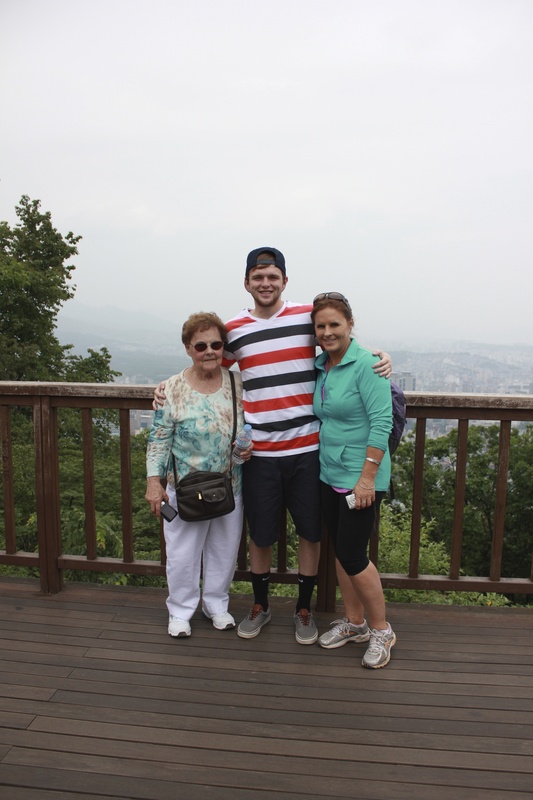 Visiting were my 20 year old brother, 49 year old mother, and 80 year old grandmother. 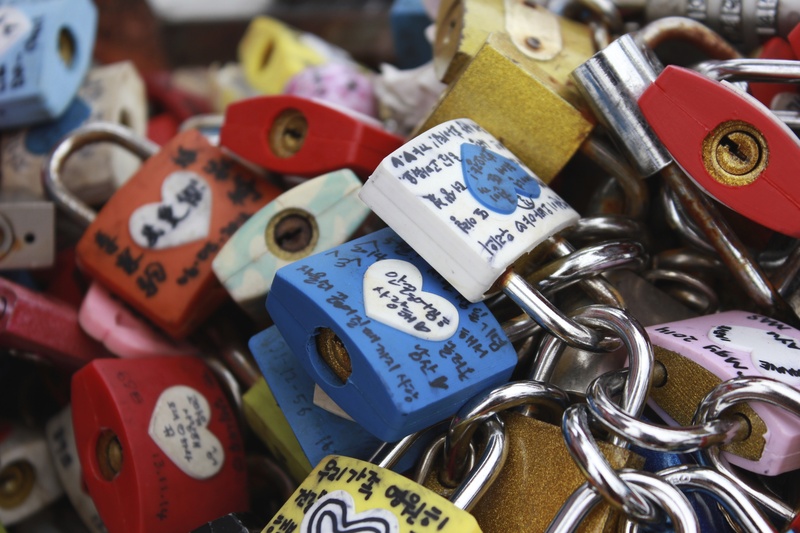 We racked our brains for events that would please everybody and came up with the following Seoul activities. 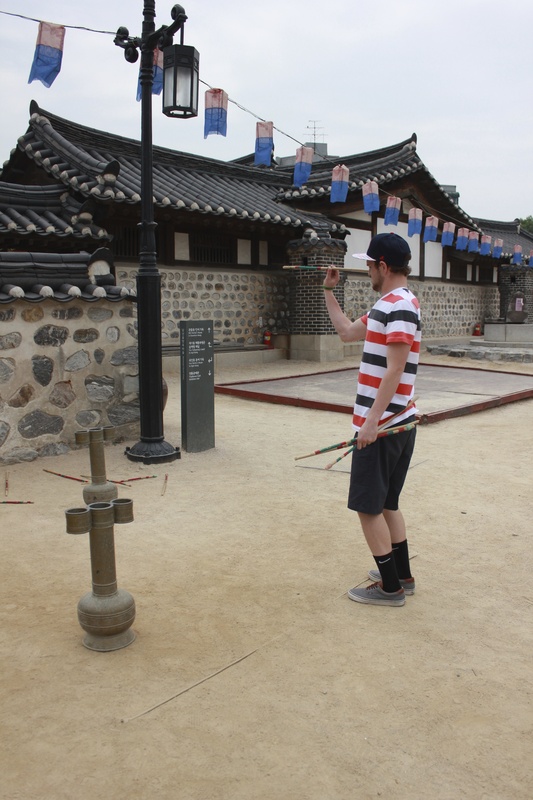 The Hanok Village was surprisingly interesting, mostly because of our volunteer tour guide, Reggie, a high school student practicing his English and nervously sharing historical anecdotes about the different houses. Reggie showed us how to play an ancient game of toss the stick into the bucket, and assured us that he had never made it in, either. We all failed. I highly suggest accepting one of these free tours. 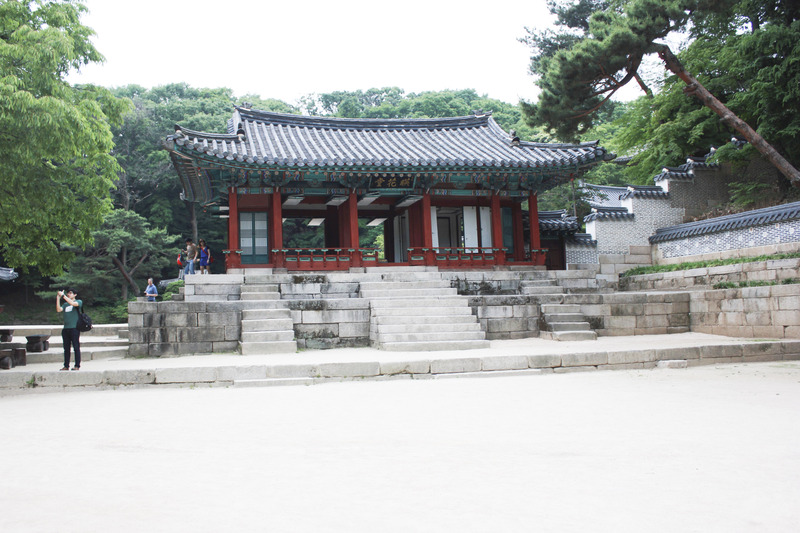 They were wearing green shirts and sitting outside the entrance to the village, and they told us they also have volunteers at a few other sites in Seoul. 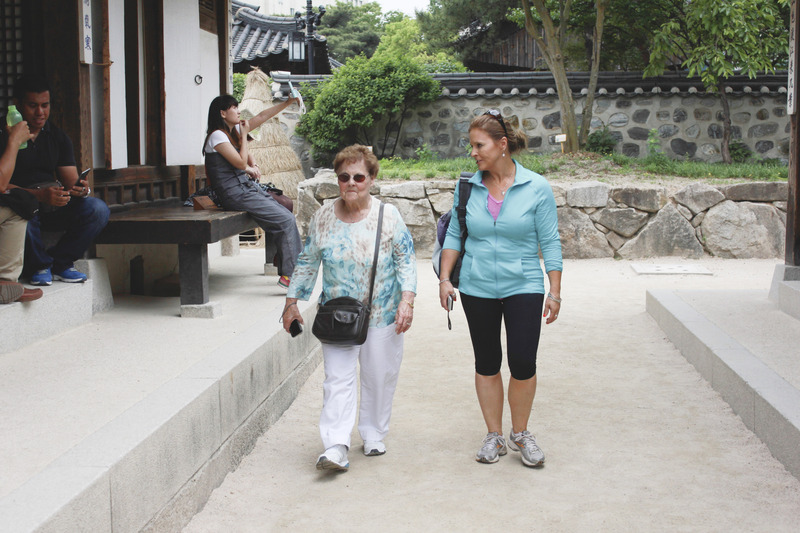 It made the walk around the village a lot more informative and it’s nice to talk to Koreans while in Korea, duh. Chungmuro Station (Seoul Subway Line 3 & 4), Exit 4. 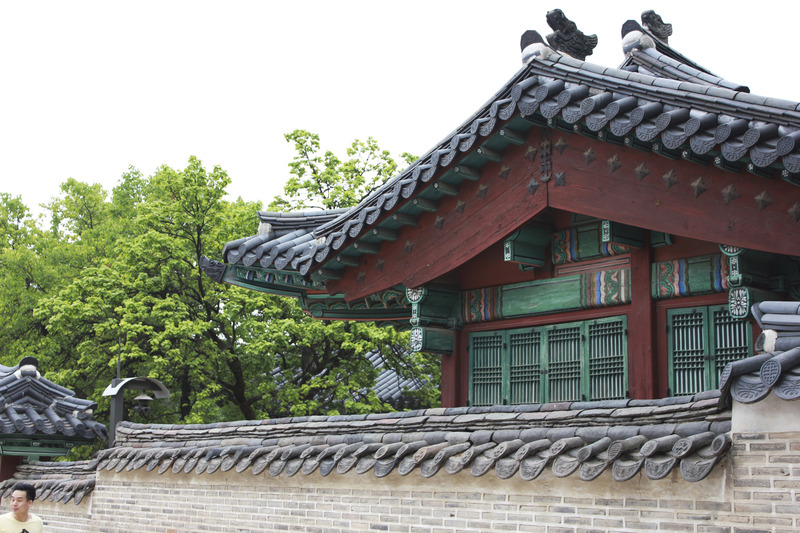 Walk along Hanongmaeul-gil st. for 5 minutes. **Pets are allowed on a leash! 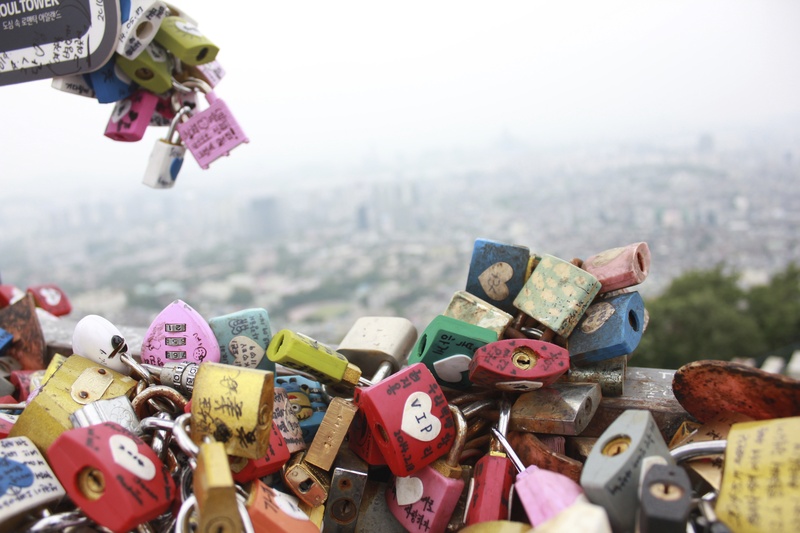 Ryan and I have been to Namsan a few times (not all of them have been our favorite – the horde of people on spring nights is pretty unbearable). 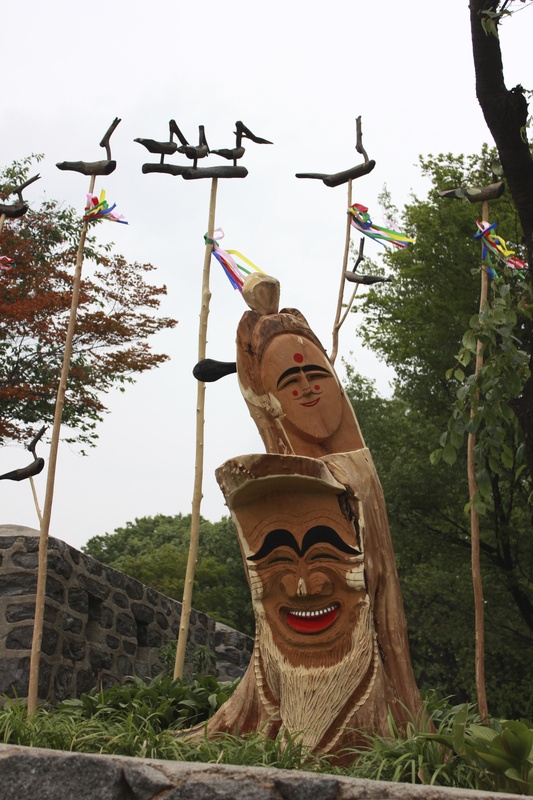 However, the tour bus made Namsan a nice, short, accessible trip. 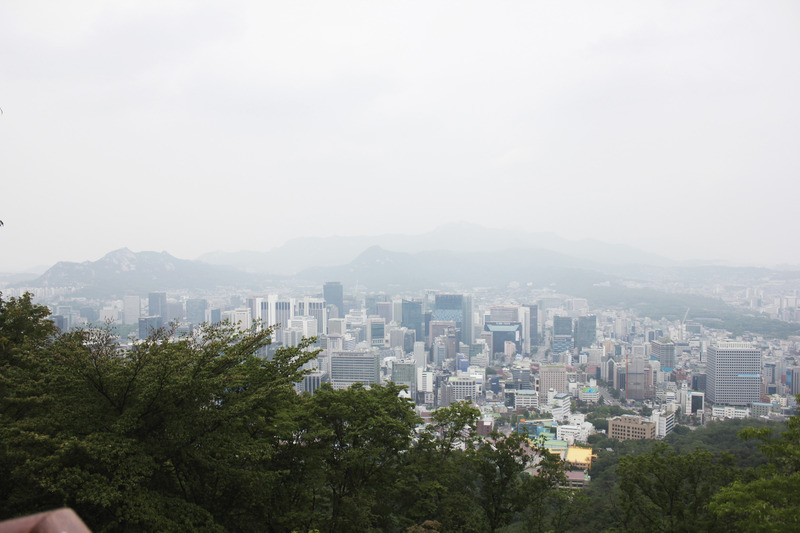 Unfortunately it was a hazy day, so the view wasn’t spectacular. 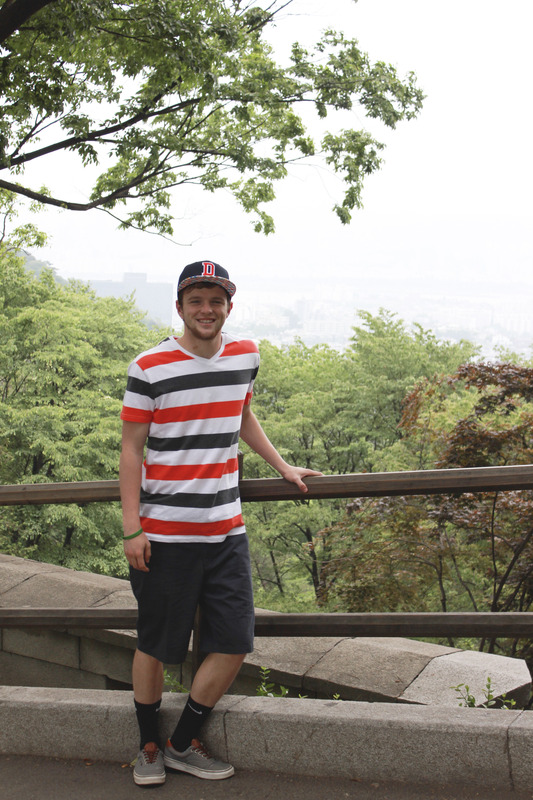 My brother and I walked further up the mountain near N. Seoul Tower, but didn’t go up because the price is horrendous. 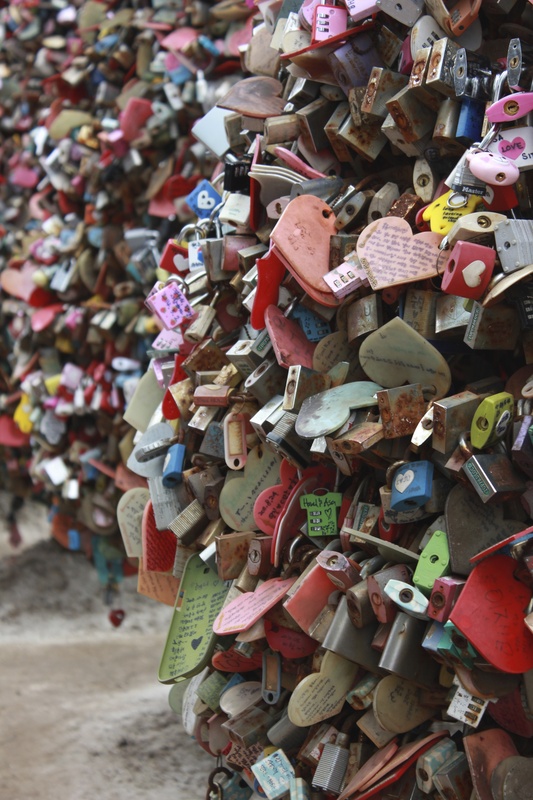 We looked at the “locks of love”, a tradition where couples secure a lock to the fence and throw the key over. Signs everywhere asked not to throw them over though, instead asking them to put them in a cute little postal box. 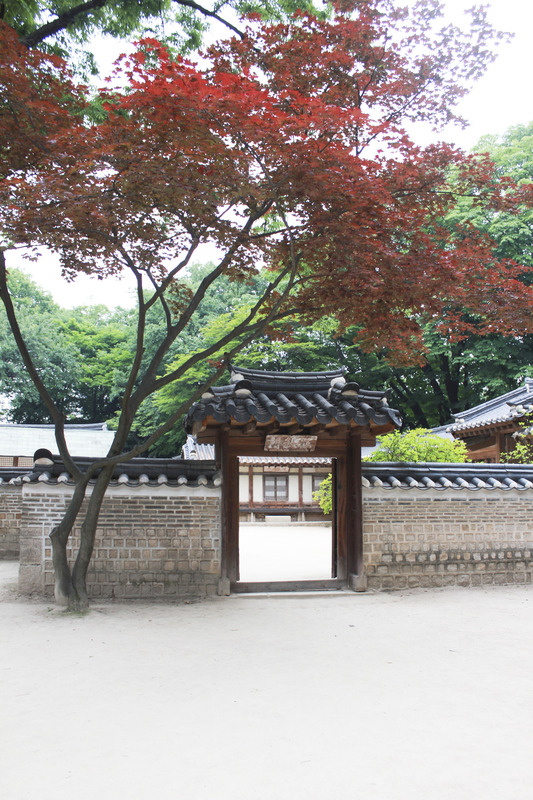 Our last stop was Changdeokgung for a tour of the Secret Garden. 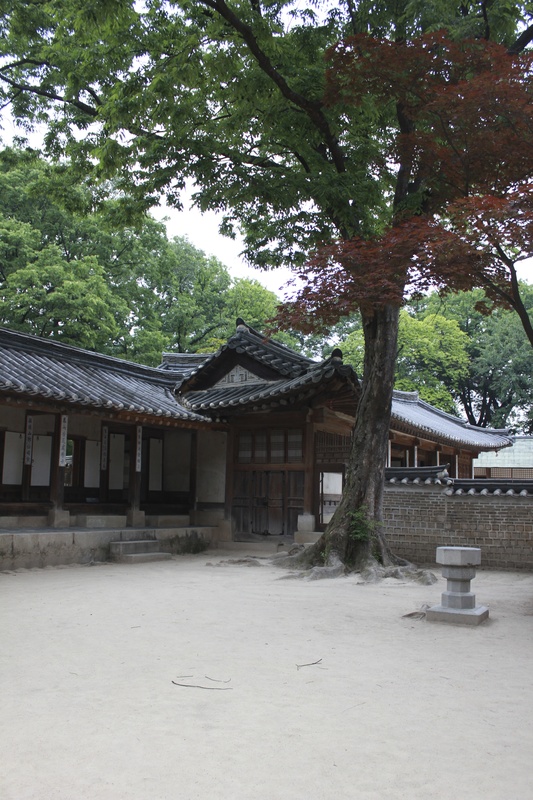 Reservations had to be made in advance, so we reserved an English tour, which can be reserved here. 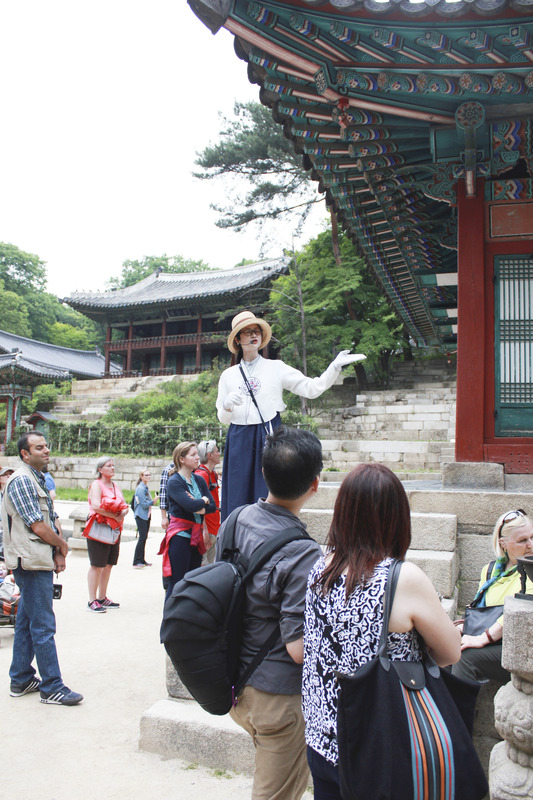 The group was huge and it was really hard to hear our tour guide, but the tour was refreshingly different from other Korean palaces, with ponds, trees, and random buildings popping up on our little wander through the wilderness. Jongno 3 (sam)-ga Station (Subway Line 1, 3 or 5), Exit 6. 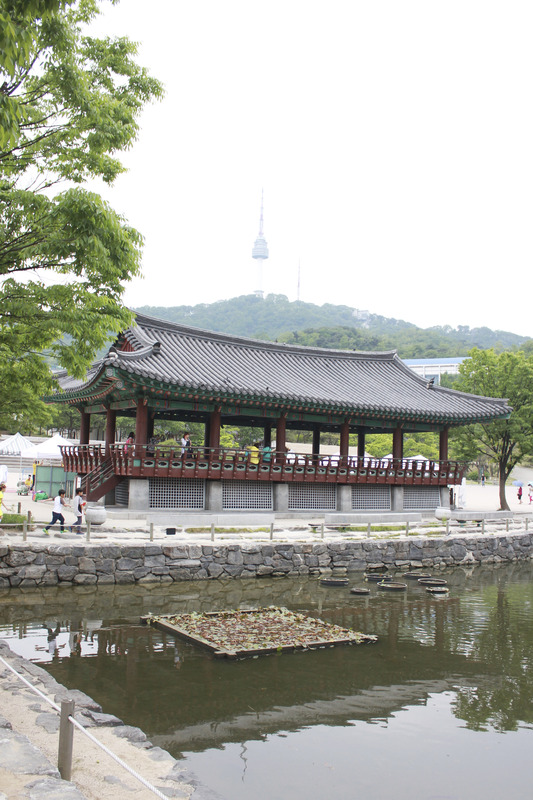 – Go straight along Donhwamun-ro Street for 10 min. Anguk Station (Seoul Subway Line 3), Exit 3. – Go straight for 5 min. It started pouring at the end of our tour, so we ran to buy umbrellas (how terribly unprepared we were!) 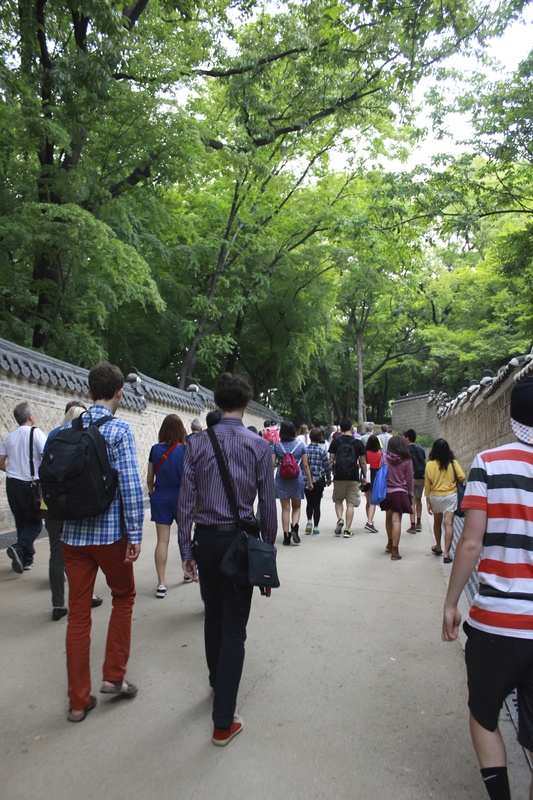 and headed to Insadong for some souvenir shopping and dinner. 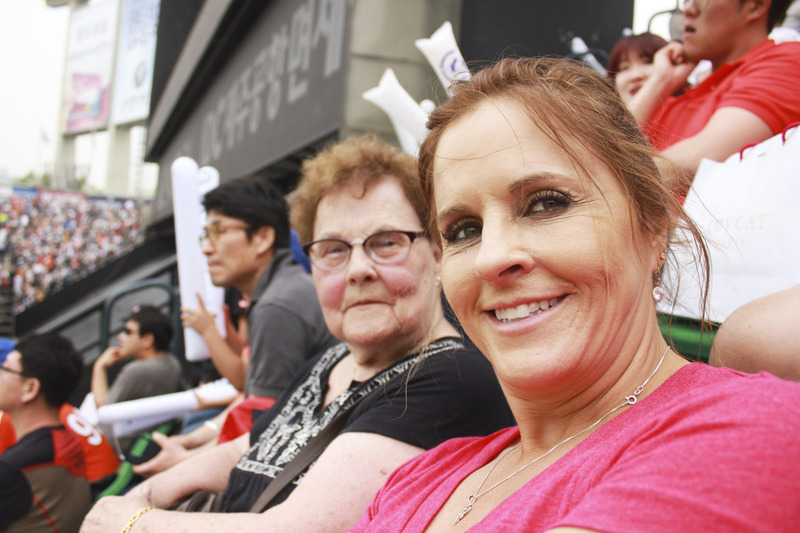 For my family’s visit in June, we decided to head to our first Korean baseball game. 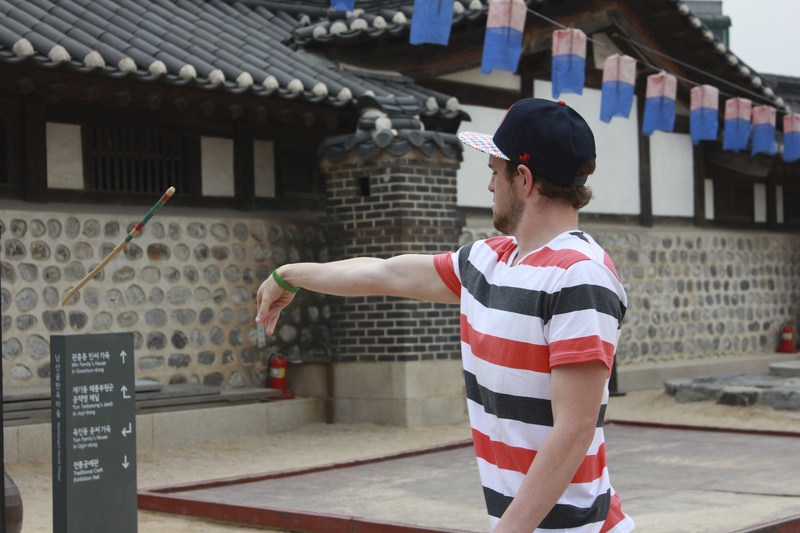 After watching some games on TV and hearing from others, we anticipated Korean baseball games to be way more fun to attend than American games. 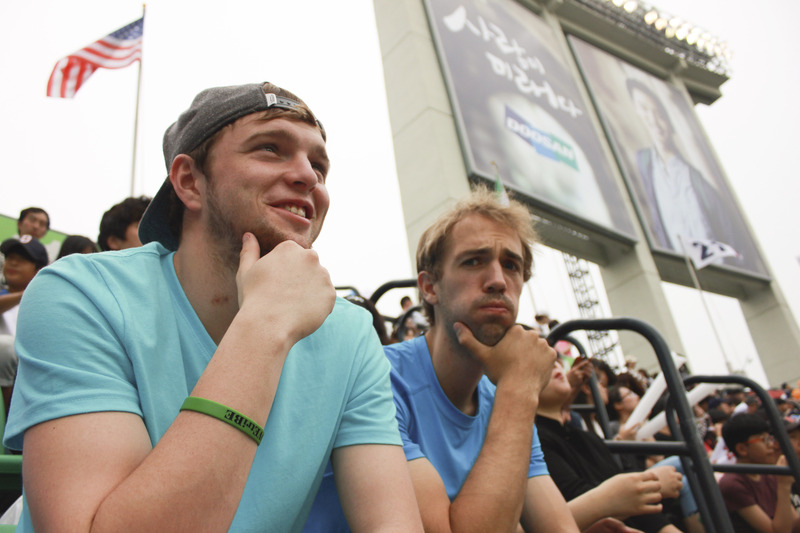 We headed to Jamsil stadium to watch the Doosan Bears and the LG Twins. We attempted to buy tickets online in advance but never did manage to figure it out (there appear to be great directions here but we haven’t tried again). We just showed up at the stadium before the game and bought tickets. At first this seemed bad; the tickets were for a general area without assigned seats, and everyone was sprawled on the empty seats, which were covered with food and blankets. Families were having picnics on the upper walking-area, and I thought we were going to spend the whole game standing up, with my grandma (in her eighties and visiting Korea!) standing the whole time. Luckily, once we started asking around, families very happily moved their jackets and food and other goods and offered us seats. The Korean fans didn’t disappoint; the whole game was spent banging clapsticks together, singing and chanting, and otherwise drinking cheap beer and eating fried chicken which people just carried into the stadium. 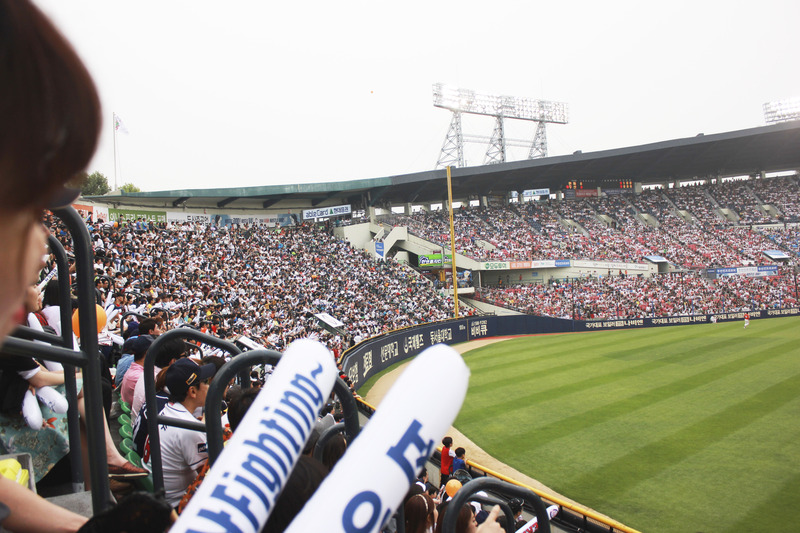 Ryan even switched allegiances midway through the game because the Doosan Bears fans were impressively rowdy. Refrains of “Fighting! Fighting!” repeated throughout the game, a word that sounds more like “Whiting! Whiting!”. 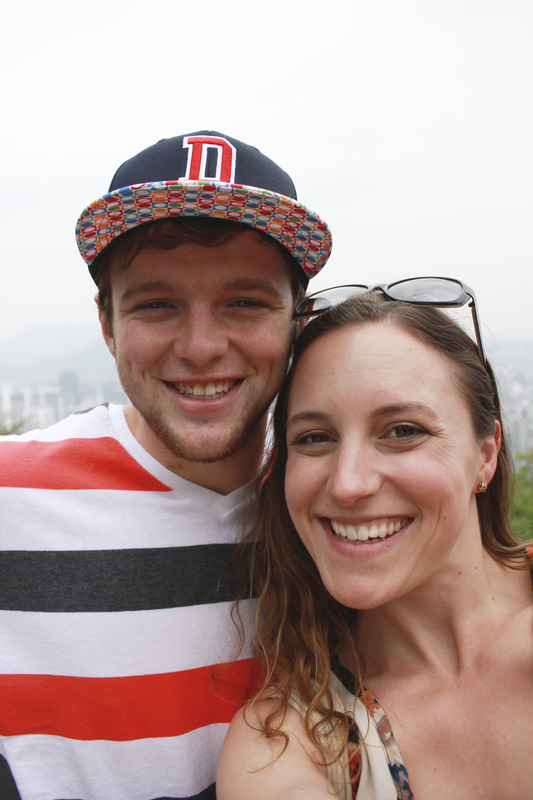 Ryan spent days after his marathon trying to translate “whiting” from Korean to English. 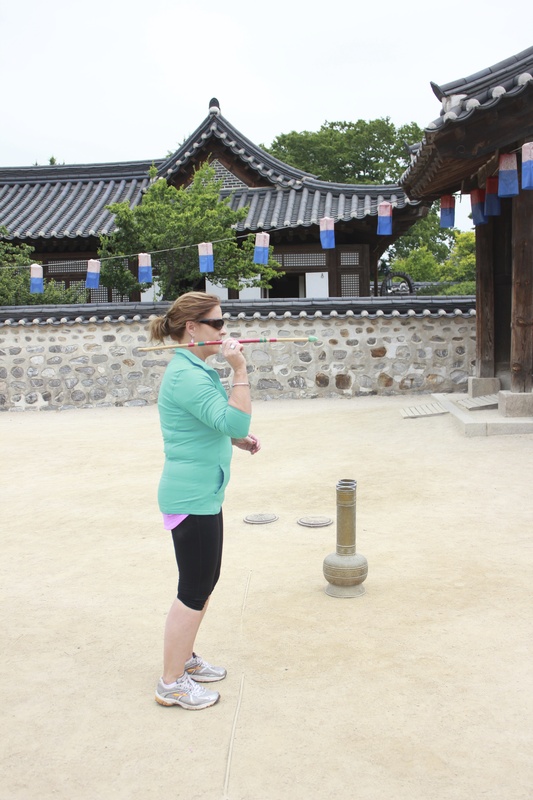 It’s chanted at sporting events throughout Korea, like “Go! Go!”. Hopefully we’ll be heading to another game this season! Take Line 2 to Sports Complex Station and take exit number 5. The stadium is right in front of the exit.